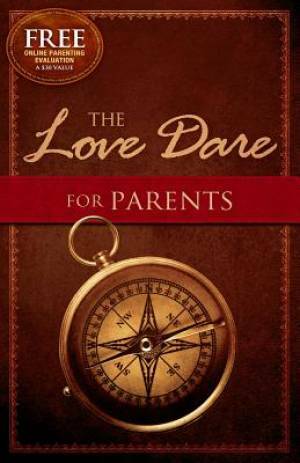 From the authors of international best-selling marriage book The Love Dare comes The Love Dare for Parents, a 40-day journey of "dares" challenging one or both parents to understand, practice, and communicate Christ-like love to their children. Easy to read and work into a busy schedule, The Love Dare for Parents is designed to "turn the hearts of parents to their children and turn the hearts of children to their parents" (Malachi 4:6) so that moms and dads can more fully enjoy and delight in their children while maximizing the positive impact they have on their lives long term. The Love Dare For Parents by Alex Kendrick; Stephen Kendrick was published by B & H PUBLISHING GROUP in July 2013 and is our 17876th best seller. The ISBN for The Love Dare For Parents is 9781433668524. Be the first to review The Love Dare For Parents ! Got a question? No problem! Just click here to ask us about The Love Dare For Parents .